Have you ever watched those “What’s In Her Purse” videos on Youtube? They highlight an almost universal obsession – we women love finding out what’s in each other’s purses. That’s where the inspiration for this article came from – it’s my version of “What’s in Your Schoolbag,” except instead of listing everything, I want to focus on the beauty products every busy girl should bring with her. So here’s the lowdown on my favorite practical beauty products to carry with you all day. I am obsessed with my eyelash curler; it’s actually quite embarrassing. After hours of lecture, I sometimes notice that my eyelashes become droopy, so I always use my eyelash curler on breaks between classes. 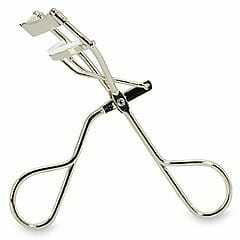 Eyelash curlers are great because they make a huge difference in how you look. My current favorite is Revlon’s Eyelash Curler ($3.99) because it grabs all my eyelashes and gives them an amazing curl. Another reason I love eyelash curlers is because they’re great to bring with you to class since, unlike other makeup products, there’s no risk of spillage in your purse. One word of warning, however: watch where you put your eyelash curler in your bag. I once put my eyelash curler in the front pocket and it broke when I dropped my bag on the floor. So be careful! I often bring the lip balm or lip gloss that I’m wearing for the day with me to class. If I notice that my lip gloss is smudged, I just reapply it. Right now I absolutely love Covergirl’s Wetslicks Fruit Spritzers in Watermelon Splash ($5.49). It reminds me of the grown-up version of those cute Bonnebell lipglosses we all used as kids. What girl didn’t love those? Although the color looks hot pink, it comes off as a more sheer tinted pink. 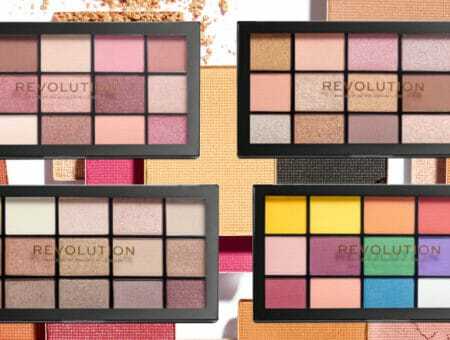 It’s a versatile shade that’s sheer enough to work on any skin tone. But the real reason why I love this lipgloss so much is because it tastes amazing – I always want to lick my lips because it tastes so good! It doesn’t have that overly artificial fruit taste; instead, it has more of a watermelon bubblegum pop flavor. If I don’t want to fuss with using a mirror during the day, I make sure to bring lip balm with me. I actually prefer lip balm over lip gloss because it requires less maintenance. But more importantly, it keeps my lips moisturized and soft. 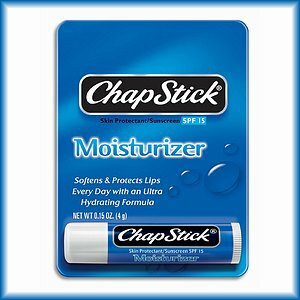 ChapStick is an all-time classic. I’ve been using it for as long as I can remember. Although it’s only a couple of dollars, the quality is superior to anything else I’ve ever tried. I could never understand why certain girls would spend so much money on expensive lip balm when this works so well! I always use the Lip Moisturizer SPF 15 ($1.59), but many of my friends like the cherry flavored one as well. 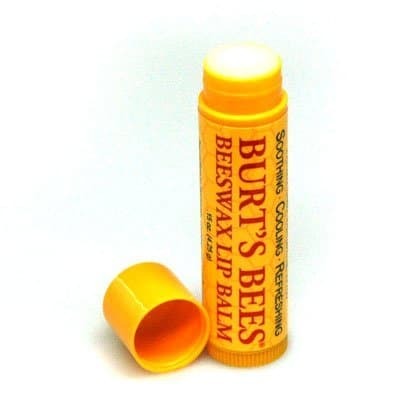 I was introduced to Burt’s Bees lip balm in high school. Once I felt the minty, tingly sensation, I was hooked. This product will make your lips feel fresh and hydrated. It is slightly more expensive than ChapStick, but the classic Beeswax- Lip Tube Balm is still incredibly affordable at $2.69. Unlike the ChapStick brand, Burt’s Bees offers an array of lip products from tinted lip balms to lip glosses. However, for an everyday school product I prefer to use the regular lip balm. Calling all oily skinned ladies: if you hate how your T-zone gets shiny during the day but hate caking on heavy face powder, I have found your golden ticket. 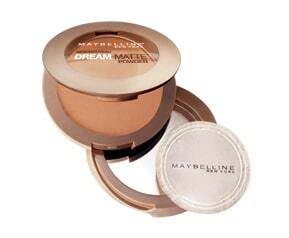 Although I use MAC Mineralized Skin Finish Natural in the morning, I use Maybelline’s Dream Matte Powder ($7-8) to touch up during school hours. This is a translucent powder, meaning it is incredibly sheer and doesn’t contain much color. So you can pile it on and your skin won’t look cakey. But best of all, this product works wonders to reduce the appearance of oily skin. Totally a must-try. While hand sanitizer is not really a beauty product, it’s an essential for me during the day, and is too important to leave off the list! Throughout the day, you’re constantly touching dirty doorknobs and germ-filled desks. Just attending class is practically a recipe for catching a cold. Fortunately, hand sanitizer will help keep your hands clean and free of most germs. Hand sanitizer is actually great for your complexion, too, if you’re like me and rest your chin on your hand during class. Think about it: your hands are usually covered in dirt, oil, and germs. 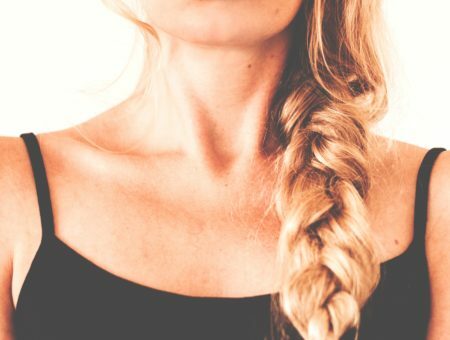 When you touch your face, all that dirt comes into direct contact with your pores, providing a perfect breeding ground for breakouts. So using hand sanitizer is crucial. My personal favorite is Bath and Body’s Works Anti-bacterial Deep Cleansing Hand Gel in Coconut Lime Verbena ($1.50) because it doesn’t have that harsh chemical smell. What beauty products do you guys carry around in your school bag? I would love to know! Leave a comment and tell us “what’s in your school bag”!